Irrational Games released a trailer for the third installment of their BioShock franchise – BioShock Infinite, and just the trailer has people squirming in their seats. 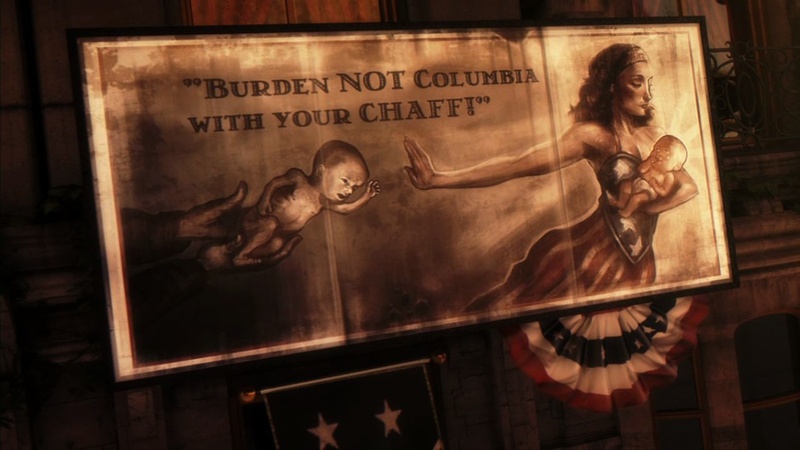 To start, the game appears to deal with the very 19th century obsession with eugenics (breeding in desirable traits) and racism in the fictional American city of Columbia. In the article on Game|Life from Wired and the ECA’s GamePolitics, I got a sense of general queasiness, an uneasiness not about the quality of the game, but rather the moral choices the game will force you to make. With all the racial tension currently in the the US–from the Arizona law, to the the Shirley Sherrod incident, to the even more recent Dr. Laura N-word controversy, it’s clear that race is once again entering the lime-light as one of the most contended and persistent issues facing America today. The anxiety (and anticipation) present on Wired and GamePolitics about the issue of race and eugenics in “BioShock Infinite,” is palpable and expected to say the least. We can leave out the criticism of turn of the century America, as well as the criticism of current day America – as both articles state, I’ve no doubt that political pundits will use this game to push their own agendas as they are often wont to do with media that pushes the envelope.